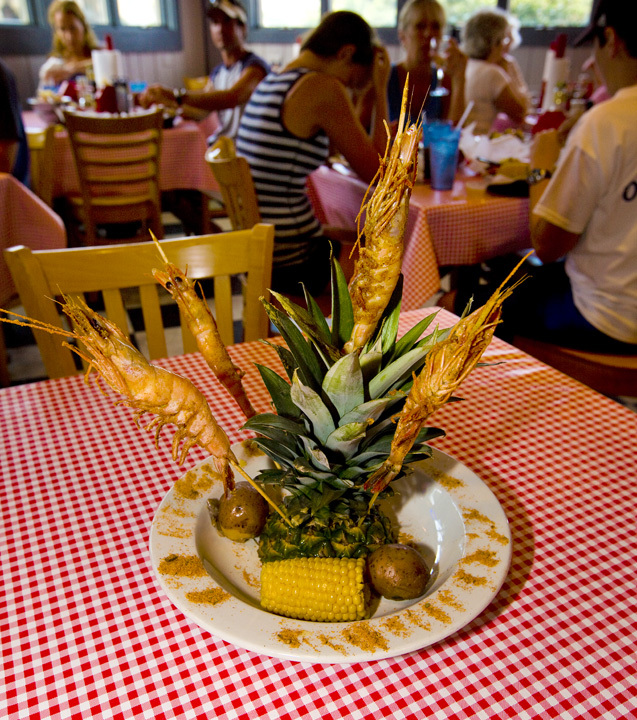 5 Restaurants on Hatteras Island You Canâ€™t Miss! Hatteras Island is a beautiful place with amazing beaches and cozy coastal homes. This vacation destination provides everything you could want on your getaway: great living space, tons of sun, and more beach activities than you can squirt a water cannon at! But when you’re done hitting the surf and relaxing in the sun, you’ll probably want something to eat. 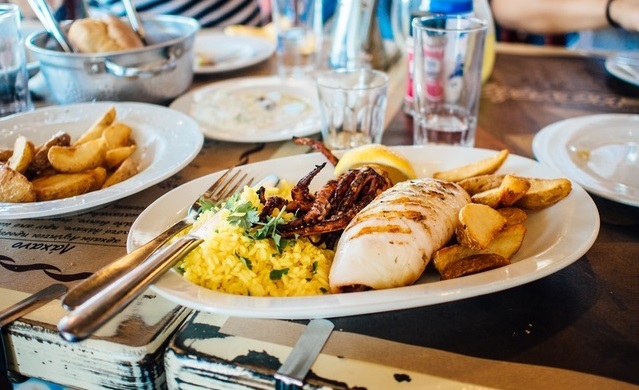 Our list of the top 5 restaurants on Hatteras Island will help you find the perfect meal to round out your dream vacation; read on to discover these mouthwatering locations! This new addition to the Hatteras Island restaurant scene has made a big impression! Opened in 2014 by brothers Matt and Josh, the Bros Sandwich Shack specializes in fresh ground burgers, delicious sandwiches, and sauces made from scratch. A favorite of locals and tourists alike, this place offers a casual atmosphere perfect for a family with children — and what kid doesn’t love burgers? Try their Cowboy Bro, a fresh ground angus burger patty slathered with sriracha BBQ sauce and topped with peppered bacon, smoked gouda and melted pepperjack. This bakery and cafÃ© in Buxton, NC is a local institution. Started as the Orange Blossom Motel in the 1950’s by the Barnettes, it was eventually converted into a bakery after their passing. Now owned by Charley and Lisa Pereira, and also boasting cafÃ© food, Orange Blossom Bakery & CafÃ© has stayed true to its origins. 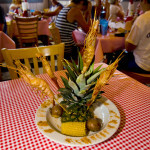 Orange Blossom is famous for their signature item — apple uglies! Order these delicious apple fritters to experience sweet bliss, or even order the chocolate covered variety called a kupa — playfully named after the Polish word for turd. An ugly and a turd never tasted so good! Set on the waters of the Pamlico Sound, CafÃ© Pamlico offers a fine dining experience perfect for a date night with your significant other. CafÃ© Pamlico prides itself on serving fresh, local ingredients, and are committed to supporting local fisherman and farmers. Their chefs change the menu frequently based on availability of these local ingredients. You’ll want to make a reservation if you’re looking to eat here; CafÃ© Pamlico fills up quick! Proof that a small restaurant can pack a BIG kick, Buxton Munch Company serves up delicious wraps, subs, tacos and more! Offering delectable seafood inspired creations as well more traditional American fare, this local favorite has been in operation since 1999. They claim to have the #1 Crabby Pattie (outside of Bikini Bottom for you Spongebob fans) and you might just agree once you taste this amazing creation! For that fresh out of the sea taste, you have to visit Harbor House Seafood Market! With fresh fish caught daily and an entire market full of delicious creations, this family owned store is sure to impress. You can grab some ready-made items cooked to perfection, or if you feel like cooking yourself, they offer raw seafood options perfect to take home and sear up on your own grill! From shrimp and crab enchiladas to scrumptious seafood soups and salads, Harbor House Seafood Market is a must-visit eatery on Hatteras Island!